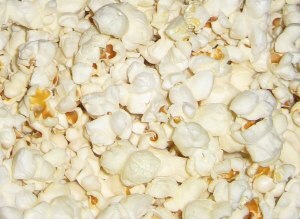 What Does Popcorn Look Like as it Pops? - JP loves LIFE! What Does Popcorn Look Like as it Pops? In my current state of heightened popcorn awareness thanks to Ryan Weeks, when I stumbled on this video, I was amazed. So amazed that I felt I absolutely HAD TO share it! It’s a great look at how the kernels heat up in oil and explode. It’s one of the many YouTube videos from The Brainiac Store. Now… I wonder if you are thinking what I’m thinking. What I want to know is does anyone have a video editing program that allows you to slow motion footage? I looked at a few but the ones I found are fairly expensive. And I really need a good, inexpensive video editing program whether it does slow motion or not. I need a PC-based version too since that’s what our office generally uses and its just easier to stay on the same platform in general. Hmmm….Now I am hungry for some popcorn. Thank a Popcorn farmer! You can thank our Twitter friends @huskerfarm, @zjhunn and @cornfedfarmer – they all grow popcorn! Cool video, especially since I’m a popcorn farmer!